A shockwave is simply a sound wave with a high-energy peak, generally resulting from an impact. This wave is in the form of a single pulse. In treatment, 'Extra-corporeal Shockwave Therapy', or simply 'Shockwave Therapy' is a highly effective, non-surgical treatment during which impulses of energy are directed to specific affected tissues. These impulses expand as a wave in the body, prompting a response from the damaged tissue, and stimulating the healing process. 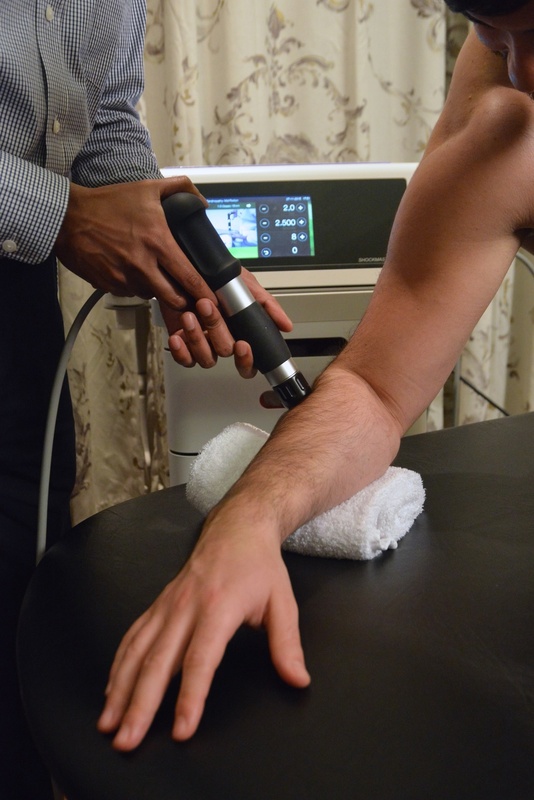 Shockwave therapy is clinically proven to be an effective method of treatment for various musculoskeletal conditions and sports injuries with overall success rate of 80%. In the past, Shockwave therapy was used to break down kidney stones. However, one of the uses of Shockwave therapy is now in the field of physiotherapy, sports medicine and orthopaedics, where these high-energy pulses are used to treat a variety of conditions. In physiotherapy, rather than breaking down tissue, Shockwave is used to stimulate tissue regeneration. This is done by causing minute ruptures in tendon and bone tissue, leading to the formation of new blood vessels. These new blood vessels spur healing by increasing the blood supply and the levels of oxygen in the treated area. Additionally, Shockwave can be used to reverse chronic inflammation by increasing the number of mast cells in the treated area. Another effect of Shockwave therapy is the breakdown of built up calcium that has been causing damage to tendons. These calcifications are broken down, thus allowing the tendon to repair itself. Additionally, Shockwave allows for the release of trigger points, which are often linked with pain in the upper body, primarily the neck, back and shoulder. This is often caused by contractions in muscle bands, which constrict to such a degree, cutting of blood supply and becoming very painful. Shockwave allows for the reversal of this process.